This attractive Professional Offices Directory sign for 3 offices is made of HDU, with a smooth background and raised text and border. The nameplates are engraved smooth-faced HDU., and are readily removable/replaceable. 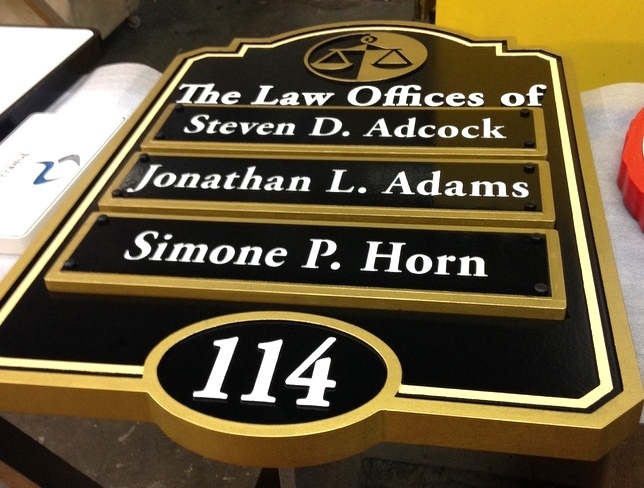 Art SignWorks guarantees to supply matching custom nameplates.